Get More with Xcaret Rewards! We keep it simple, so you can concentrate on selling! For every purchase, we reward you with cash and free stays. You will have the option to choose between selling an outstanding ALL-FUN INCLUSIVE™ experience at Hotel Xcaret México, or any entry to the most iconic parks and tours in the world: Xcaret, Xel-Há, Xplor, Xplor Fuego, Xenses, Xoximilco, Xavage, Xenotes and Xichén. • Book a stay at Hotel Xcaret Mexico of 3-5 nights and receive $50 per stay. 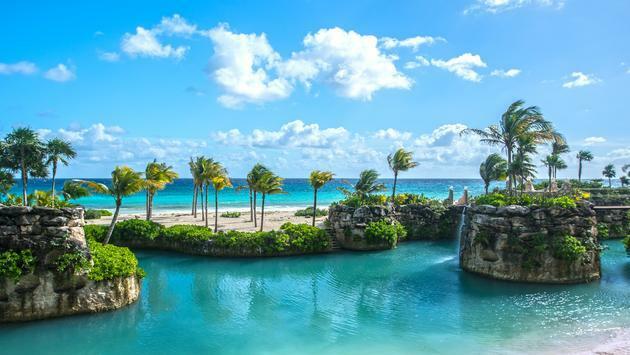 • Book a stay at Hotel Xcaret Mexico of 6 nights or longer and receive $100 per stay.